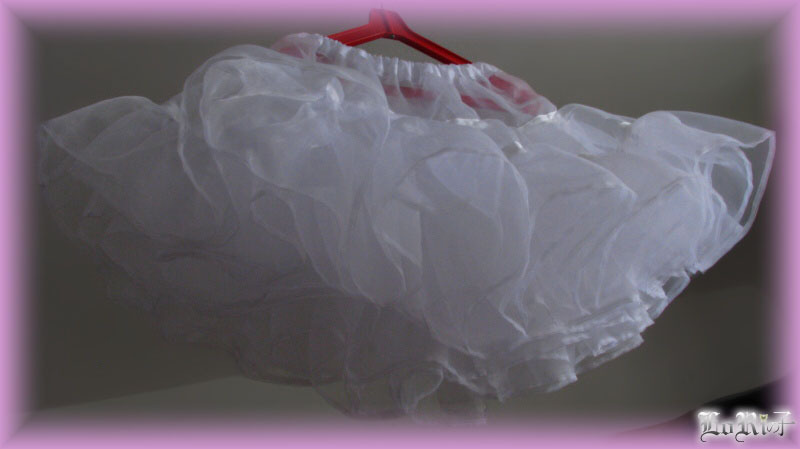 White petticoat from organza with triple layers. Waistband is elastic. 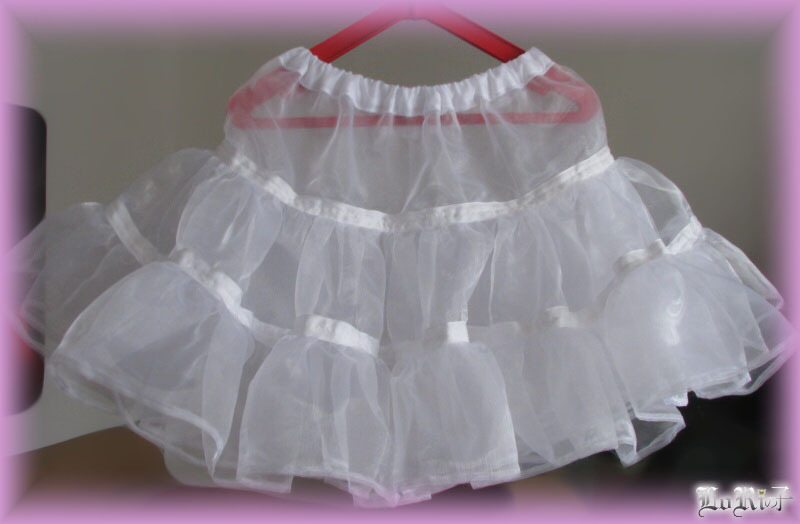 Thanks to the rich layering it is gaining pretty volume and is suitable to be worn under a heavier outer materials.